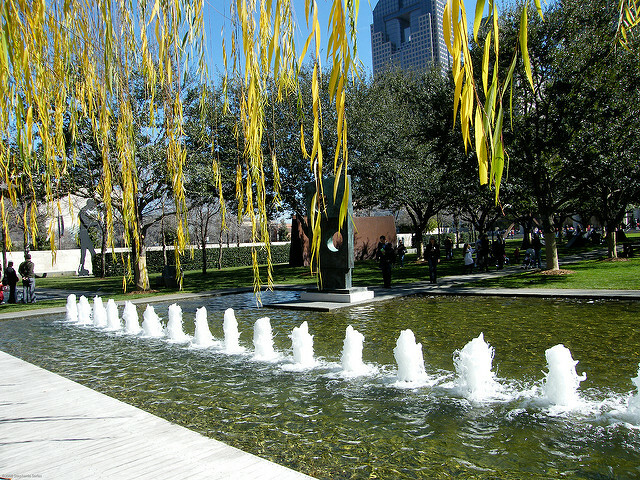 Join Eurocircle for the first in a series of art themed gatherings in the Dallas metroplex. Our inaugural outing at the Nasher Sculpture Center conveniently just happens to be ground zero for the Art District’s “Remember Bastille” Day Celebration along Flora Street so lots to do after you experience all the Nasher has to offer. Check out the amazing sculpture garden as you grab a drink and listen to a concert by Northern National and other local talent. And don’t miss their current exhibit by New York based artist and influential sculptor, Joel Shapiro, as well as some of the other gems inside from Rodin, Matisse & Picasso. Our group has a private space to gather adjacent to the bar and all the festivites outside. Ask for the conference room when you arrive. We’ll be there between 6-8 p.m. Everyone is welcome to stay longer outside or along Flora Street as both events go on till Midnight. Entry is complimentary. Party with a Purpose! Check out the links below.